I (Craig) was recently invited to shoot Motorcycle Monday on a crisp night in November. These guys have been gathering all year, meeting at the 5 Star Bar here in Chicago. There’s something about getting out one last time before the bike goes in for the winter. 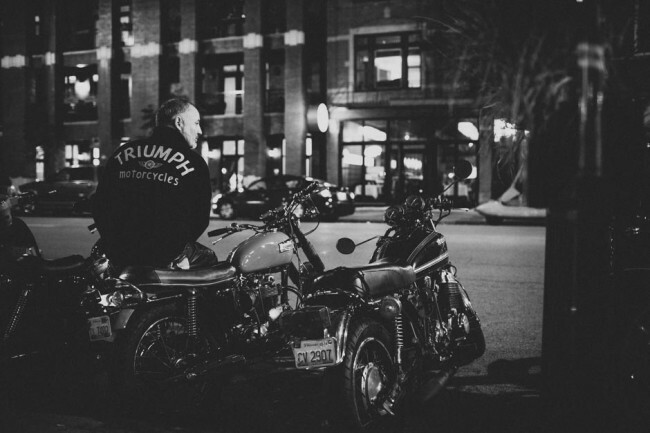 I’m a fan of vintage motorcycles, specifically Triumphs. One day I may own one. Every Wednesday will feature a blog post specifically related to men. Men, what do you do in your spare time when you aren’t cranking out 40-60 hours working your tail off? What do you dream of doing?